Green power, or renewable generation, is electricity created from sustainable resources such as the sun, wind and biomass. Green power produces little to no emissions, thereby improving air quality while also reducing dependency on traditional fuel sources such as coal and natural gas. Green Power Switch enables customers to support green power by making monthly contributions on their MLGW bill. For each $4.00 block purchased, TVA generates or purchases 150 kilowatt-hours (kWh) of renewable power and places it on the region’s electric grid. Green Power Switch participants then can claim an equivalent portion of their electricity use comes from renewable sources. There’s no contract to sign, so you can change your participation anytime. Residential customers can purchase as many blocks as they wish. Use this calculator to see your impact. Sign me up. Tell me more. Non-residential customers have a minimum purchase level based on their facility’s electric demand and annual power consumption. Sign me up. These local businesses proudly support Green Power Switch. Options for onsite generation are described below and summarized in this table. Considering going with solar? Check out the Tennessee Valley Solar Calculator -tailored to conditions and prices in the region- to see if on-site solar is right for you. Green Power Providers enables customers to install small-scale generation at their homes and businesses, selling 100% of the output to TVA through 20-year agreements with generation incentives appearing on their MLGW bills. Residential and small business customers (MLGW rates E-1 and E-2/GSA part 1) with systems up to 10 kW of generation capacity, are paid $0.09 per kWh generated. 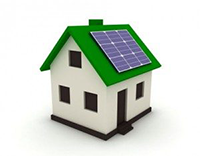 Systems larger than 10 kW, as well as customers on any other electric rate, are paid $0.075 per kWh. Eligible system sizes range from 500 watts (W) to 50 kilowatts (kW), but the proposed system size cannot generate more electricity than the site consumed over the previous 12 months. There is 7.5 MW of program capacity available for 2019. Green Power Providers enrollment period begins 1/22/2019. -See annual generation from local Green Power Providers participants. Dispersed Power Production enables customers to install onsite renewable generation and sell all or a part of their output to TVA at short-term avoided costs. TVA pays the incentives directly. Access MLGW forms. Self Generation enables customers to generate power for use at their homes or businesses. Any power generation in excess of instantaneous consumption flows to the MLGW grid without financial benefit, so it’s vital to size the generation capacity carefully. A monthly charge applies. Self Generation customers may opt to sell any excess power to TVA via the Dispersed Power Production program, described above. Access MLGW forms. Negotiated Proposals enable customers and/or developers to install large–scale (>20 MW) generation and sell 100% of the output to TVA at long-term avoided costs. Because MLGW has an all requirements contract with TVA, we are prohibited from buying electricity from any other source. As a result, MLGW does not offer “net metering.” Should you wish to generate power for use onsite and sell the excess to TVA, then Self Generation with Dispersed Power Production is the applicable option. Currently, there is a 30% Federal tax incentive for residential and non-residential solar installations placed in service by the end of 2019. Incentives change after that.. Learn more about the Business Energy Investment Tax Credit (including IRS Notice 2018-59 which defines eligible construction timelines) and Residential Renewable Energy Tax Credit. Neither MLGW nor TVA provides financing for renewable generation. Businesses and certain types of non-profits may qualify for low-interest loans through the Energy Efficiency Loan program at Pathway Lending. Visit www.pathwaylending.org for details about this program, which uses public and private funds to encourage investments in energy efficiency and renewable generation.